Back in 2012, when Facebook purchased Instagram, the question on everyone's mind was how the heck would Facebook earn its money back? The obvious answer was that some how, some way, Facebook would get advertisers to pony up cash to advertise on the app. More than a year after Wall Street analysts, Mark Zuckerberg and those who just like to worry about things were thinking about a solution, Instagram ran its first ad. 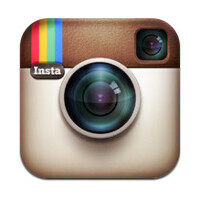 Last year, Instagram debuted video ads, and it is now ready to begin showing interactive ads. Instagram said on Wednesday that it had heard from many in the Instagram community who were inspired by a sponsored photo or video to learn more about the product or the company behind it. As a result, it is bringing to the app what it calls "carousal ads." As an example, Instagram says that a fashion company could show off all of the individual pieces of a specific fashion "look." Or a company could show how a number of different ingredients come together to become a yummy meal. If a specific ad isn't of interest to you, simply scroll right past it and continue perusing your feed. The new carousal ads will soon premiere on a "limited basis" and Instagram will tinker with the format over the various weeks to see which ones attract the most consumer responses. I hope there's a 'premium' edition that would Remove Ads, I wouldn't mind buying it rather than seeing pointless ads that would do nothing but running all over my feed.